Living your dream life requires grappling with a lot of cold reality. Source: Entreprneur Everyone Talks About Living Their Best Life. How Do You Actually Do It? 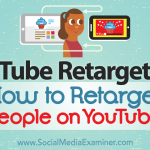 Want your YouTube ads to convert? Looking for effective ways to build remarketing audiences for your ads? To explore tactics for remarketing with YouTube, I interview Brett Curry. 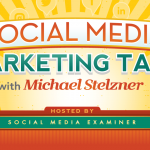 More About This Show The Social Media Marketing podcast is an on-demand talk radio show from Social Media Examiner.